These days, my fashion fixations seem to focus exclusively on any news relating to technology. Since I first joined the company, the marriage between tech and fashion has always been on my mind. Will there be solar panel jewellery in the future? What health--conscious stylish coats will appear in upcoming fall collections? 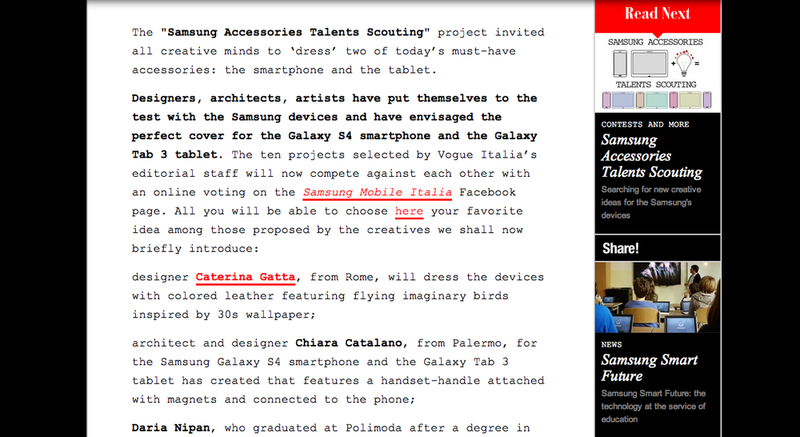 Below is a partnership with Italian Vogue to discover accessories talent.